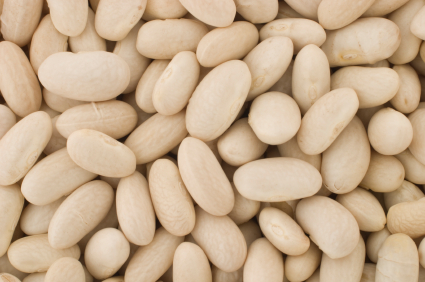 The primary ingredient in many carb blocker products is a white kidney bean (phaseolus vulgaris) extract. Its function is to stop carbs from being converted into glucose & fat by disrupting the process of an enzyme in the body called alpha-amylase (Santimone et al, 2004). Alpha-amylase is responsible for breaking down carbohydrates into glucose. By interfering with alpha-amylase, carb blockers will theoretically ensure that carbohydrates are excreted from the body before entering the bloodstream & being stored as fat (Udani et al, 2004; Celleno et al 2007). The average carb blocker claims to block up to 30 to 45 grams of carbohydrates from being broken down into glucose & fat. More recently, acai berry has also been found to possess carb blocking properties. The proteins in acai, much like white kidney beans, are able to inhibit the effects of alpha-amylase (Araujo et al, 2004). Who Can Use Carb Blockers? Carb blockers essentially decrease the user's calorie intake, so this type of product is mainly suited to anyone wanting to lose weight or for anyone who puts on weight easily after consuming carbohydrates. Predominantly available in capsule form, it is recommended that users take carb blockers just before meals, particularly meals high in carbohydrates at a dosage of at least 450mg. As carbohydrates provide the body with energy via glucose, a carb blocker user is also reducing the amount of energy that their body receives and so may benefit from stacking carb blockers with energy promoting supplements such as pre-workouts or specialised energy supplements containing B vitamins, magnesium and iron to name a few ingredients. Carb blockers can also be stacked with thermogenics and fat burners to increase the metabolic rate, in order to further assist in weight loss. Carb blocking supplements are not a sole source of nutrition and should be used in conjunction with an appropriate physical training or exercise programme. Not suitable for children or pregnant women. Should only be used under medical or dietetic supervision. Always read label prior to use.